Curated by Carly: May Favorites! Everyone always says this during their "monthly favorites" posts or videos...but where has the year gone? It's already June (my birthday month)?! Seriously, it feels like New Years Eve was yesterday. 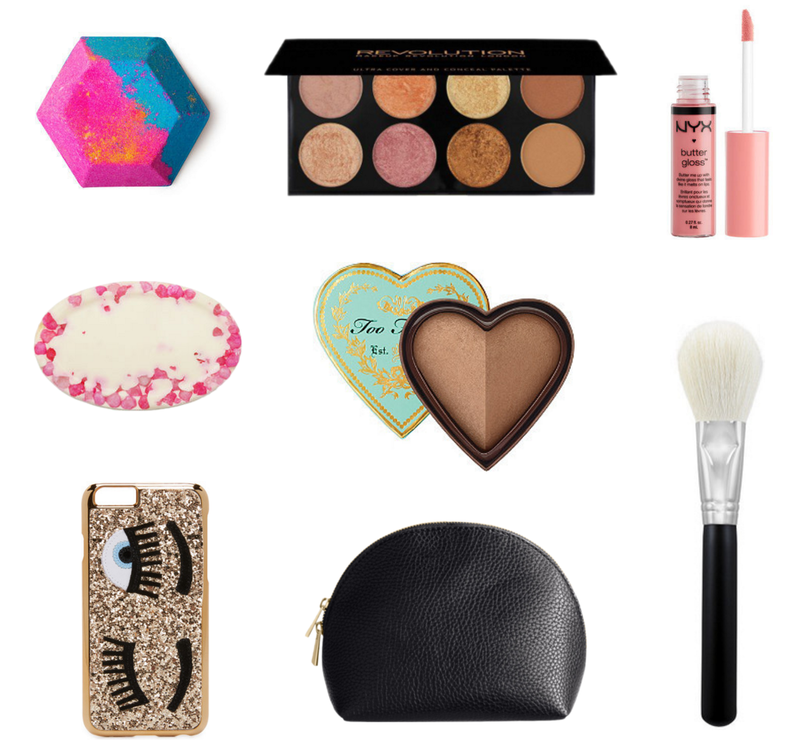 That being said, here are my beauty and accessory favorites for the month of May! If you want that stereotypical Lush experience, you need to try this Bath Bomb. Prepare all your senses for eye-catching fizzing colors and heavenly scents. Another Lush favorite! These are perfect for right before bed to moisturize your tired skin while lulling you to sleep with soothing aromas. I also love the "Tender is the Night" massage bar! I'm usually a simple phone case kind of gal, but when I saw this phone case online, I HAD to have it. It's a little over the top, but I love it. This is probably one of my favorite makeup palettes of the year. First off, it's only $10 at Ulta. Second, the highlighting colors in this palette are comparable to high-end highlighters from Becca or MAC. I love mixing the gold shade in the top row with the champagne/peach shade in the second row. It creates a unique color with some serious glow. I saw some of my favorite YouTubers raving about this bronzer, so I had to give it a try. It's quickly become my favorite bronzer for the spring and summer with its subtle sheen and neutral tone. It reminds me a lot of the Hourglass bronzer which I absolutely love but refuse to spend $50 on. I'm one of those people who loves having everything I could ever need in my purse, but I don't want it to look like I'm a hoarder. This affordable and adorable makeup bag fits in my purse and organizes everything perfectly. I picked this lipgloss up on a whim when I was at Meijer a few weeks ago and it has quickly become my go-to lip topper. It's the perfect neutral pinky peach and the formula is so comfortable. You can't beat that price, either! This will forever be my favorite bronzing brush. It's a dupe for the coveted MAC bronzing brush that everyone talks about but at a fraction of the price. I've ordered tons of brushes from Morphe and they've all become part of my daily makeup routine. What were your beauty or fashion favorites from the month of May? Comment below!